I want to live in a world where we embrace our individuality. I want to live in a world where we are encouraged to innovate- to seek new solutions to every day problems that will ultimately affect our future generations. Hi! I'm Jenelle. Though these days I am most frequently referred to as Mommy, I used to hold such titles as President, Waitress, College Student, Mud Bog Racer, and I even donned a big furry cat suit in high school as Suzy Stateliner- the school mascot! Between crushing cars with Monster Jam trucks, judging silly dance contests, and those other less fun household chores... I rescue clothing and textiles from our landfills. I am a recycling and repurposing revolutionary. I am here to not only encourage and inspire you to consume less and recycle more but to transform discarded materials into wearable, practical, fun, personalized and stylish works of art. 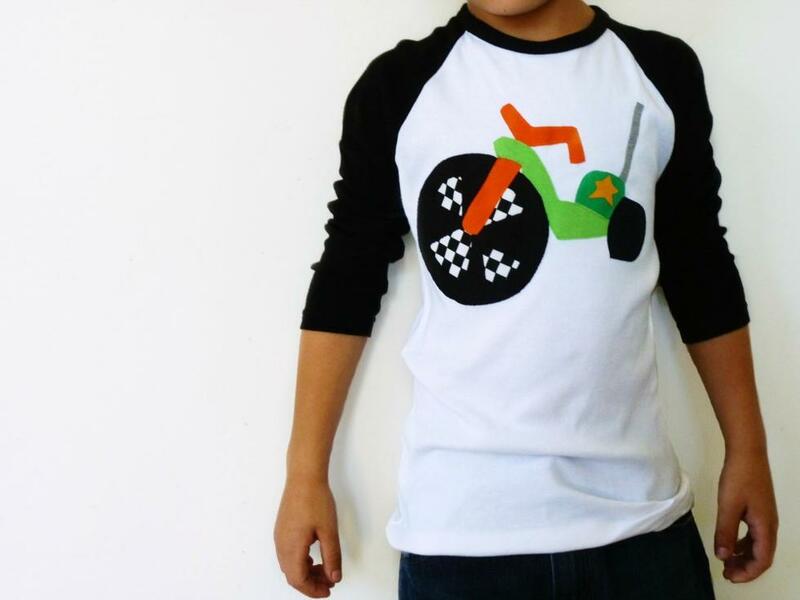 I began designing solutions for textile waste in 2010 with my clothing line, TrashN2Tees. Transforming unwanted clothing (trash) into new tees. That's where Trash N2 Tees was born. Since then my whimsical original, hand cut designs, and custom raw edge applique clothing have been sold around the world. In 2015 my first book, The Upcycled T-shirt was published with Stash Books. I continue to inspire others to with sustainable designed sewing patterns, embroidery designs, and pass on the art of sewing through seminars and workshops. Textile/clothing waste makes up for nearly 6% of municipal waste and 95% of the that material can be recycled! I think 100% can be creatively reused. It all started in 2010 when I offered incentives to my own customers with a mail in recycling program called TrashN2Cash- that helped to divert more than 2.5 tons of clothing from the landfills. That's no small feat. In 2012 I established TrashN2Tees Clothing Recycling program that service my direct community in Central Kentucky. We grew to service 5 states in the Midwest and Northeast USA. Here we are in 2014, I'm excited to announce that TrashN2Tees has partnered with USAgain to offer textile recycling nationwide. To date we've diverted more than 50 tons of clothing from our waste streams and continue to keep approximately 7,000 tshirts from landfills every month! What happens to materials donated? Due to the amazing support of our local communities TrashN2Tees collections have outgrown the storage space. 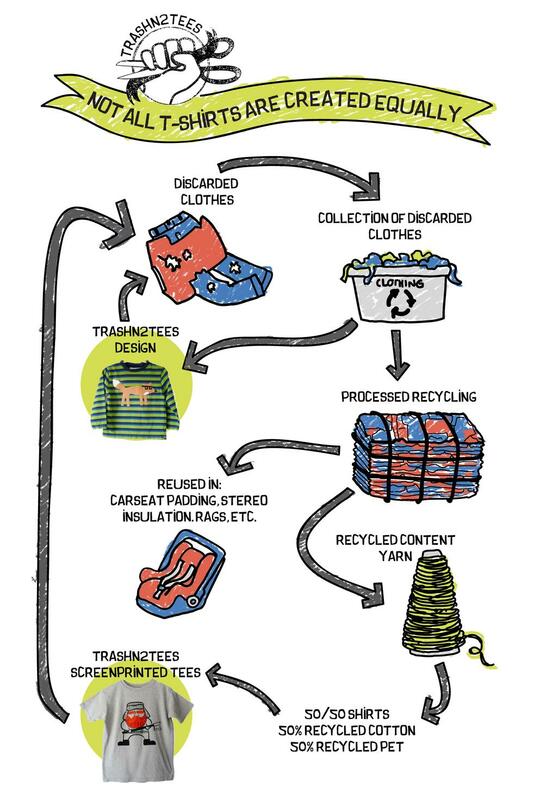 While some of the clothing collected will be repurposed and used in TrashN2Tees designs- the majority of textiles collected at dropbox locations and events are transported to a facility where it is sorted into different grades: including usable/non-usable, cotton scrap, cotton blend scrap and synthetics. The materials are later sold for reuse as clothing, linens, etc or to emerging markets that turn materials into wiping rags, fiber for car seats and insulation. Items collected may also be repurposed and used in TrashN2Tees designs. We've set up numerous programs locally with eco designers and educational institutions to creatively reuse materials. Additionally requests nationwide for similar outlets lead to my need to seek out a larger firm to help collect and process textiles. They, USAgain, are responsible for keeping more than 601,266,000 items from our landfills. Together we are offering our communities a convenient and eco-friendly option to rid themselves of excess clothing. TrashN2Tees has received some amazing support and been featured in a variety of publications online worldwide. 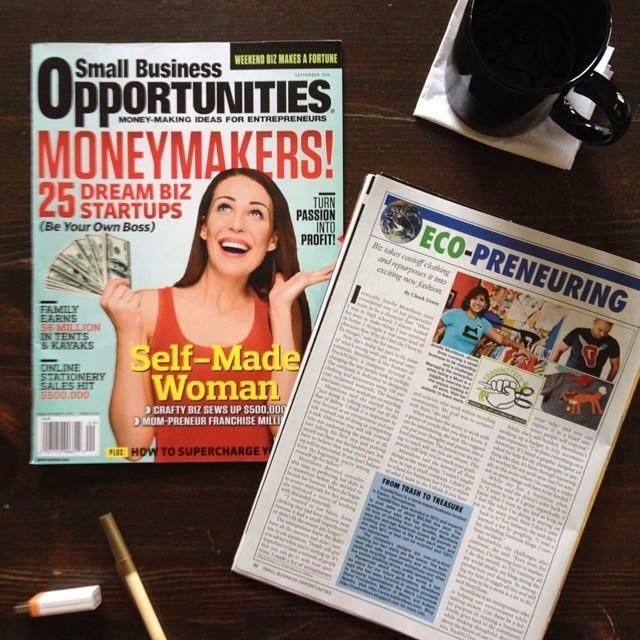 Jenelle has been recognized as a 2012 Leading Mom in Business by Startup Nation and has sat on an international panel discussing recycling/social ent for The Guardian. Jenelle is a project designer for Pellon® and resident sewing expert for Bernina USA on We All Sew. In October 2013 Trashn2Tees was awarded The Best in Green Practice Small Business Award by The NYER. March 2014 Named 1 of 50 Creative Women Who Inspired and Inform //Oh My! November/ December Issue of The NYER features TrashN2Tees as one of "8 Innovators to Watch"
I love the chance to connect - you'll find me traveling across the country discussing the value of waste, teaching sewing techniques with BERNINA, collaborating with creatives and makers, designing solutions and supporting creative reuse + recycling initiatives in my own community. Let's create something amazing together! For information on scheduling a community event, hosting a workshop or lecture; please fill out this inquiry form or contact me directly via email Jenelle @ TrashN2Tees.com I can't wait to meet you. Jenelle is a BERNINA Brand Ambassador who works closely with dealers across the country to help provide content, classes, and events to capture emerging markets and engage existing ones, while showcasing exciting products. Jenelle adds an element of enthusiasm. 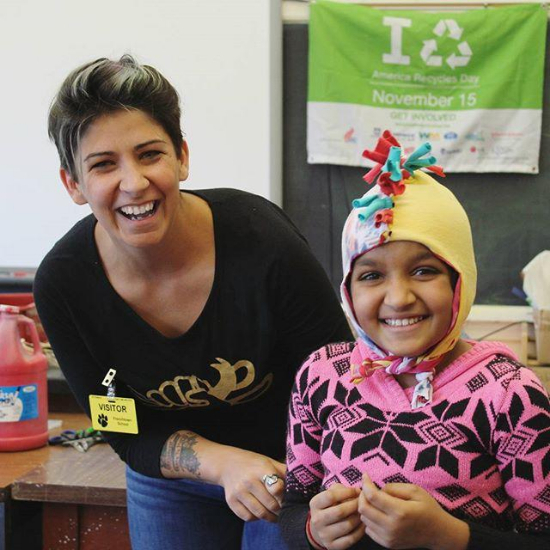 She thrives on collaboration and continues to grow as an educator and designer. Jenelle is passionate about exploring innovative sewing, serging, embroidery techniques and loves to push the boundaries of traditional techniques in new and unconventional ways. Available for instore events, booth demos/ make & takes, trunk shows, guild workshops/lectures, and school visits. Reignite your creative passion in this 1 hour lecture. Jenelle will share her own vulnerable experiences and ask "How do we replenish that creative fire that has been smothered by years of doubt, fears, and neglect?" Discover 5 techniques that will help you spark your passion and get you back to creating the work you love. Mind boggling statistics tell a story of over-consumption and waste in our communities. Let's rewrite the way our generation is remembered! In this 1 hour lecture, she will introduce you to her favorite industry brands and resources focused on sustainable sewing and demonstrate new techniques that will have you reimagine creative ways to use clothing you no longer want or need. Reimagine the way you sew with jersey knit fabrics- they are not just for t-shirts! Learn how to manipulate fabric beyond ruffles and gathers creating gorgeous arrays of texture that will add interest to your quilts, pillows, bags, and so much more. With Jenelle's guidance, your students will walk away with the skills and confidence to conquer all types of knit sewing without ever touching a serger. Heirloom techniques, specialty interfacing, and cut & fold methods are explored. Step away from the traditional boxed & sashed t-shirt quilts we've been accustomed to. Choose between the Modern T-shirt Knits quilt or Ida's Garden raw edge applique made with Jenelle's line of Eco-Knit fabrics. This is a comprehensive class that explores the value in choosing the proper supplies and executing the best techniques for a gorgeous everyday throw using jersey knit materials. Create a beautiful, healthy, and sustainable home that reflects who you are, no matter how small your budget or space. 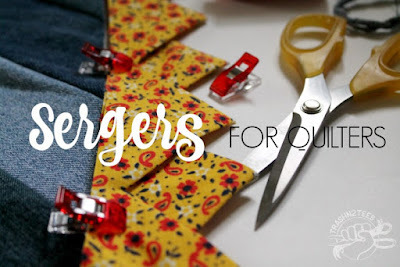 From veggie keep sacks to reimagining waste- discover the many ways a serger can maximize your eco-impact and impress your friends. 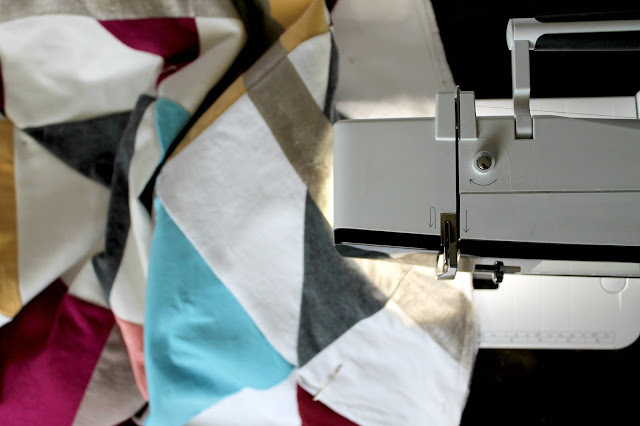 Join Jenelle for a comprehensive guide to serger stitches for an eco home learn how to create a blind overlock hem, basic overlock, and how to create a blanket stitch with a serger while creating projects that save time, money, and energy. *Customization available depending on skill level. Choose 2 repurposed projects for a full day event. Discover how to maximize fabrics from found objects and exercise your mind to envision new ways to use them. These options are designed to promote feet and accessories that elevate your upcycling efforts from bag lady to chic for polished finished products. Student favorites are the Pox Pillow, Reusable Produce Bags, T-shirt Rope Bowls. Come paint with mother nature and learn the alchemy of creating beautiful colors with plants, flowers, and food waste. Gain an understanding of what local plants you can use and the colors they'll yield while creating eco-friendly textiles. **Workshops are available as they are described. Custom designed workshops and tailored events or shows are welcome, please contact me directly for availability.